Small Business Loans Las Vegas NV | Up to $500K, Apply Today! Small businesses are on the rise in Las Vegas. Low overheads, limited taxes and a healthy startup environment are all strong positives for smaller companies in Las Vegas. * Whether you’re focused on tourism, service, biotechnology or manufacturing, you know you picked a great spot to grow your business. However, a lack of easily available lending for small businesses in and around the city can hamper growth efforts. * That’s where National Funding is ready to step in and help small businesses throughout Las Vegas. National Funding understands that, sometimes, a company needs an infusion of cash to reach its fullest potential. That’s why we’re proud to offer small businesses throughout the city loans that effectively address their wants and needs. Get the money your organization needs with a small business loan from National Funding. Improve the appearance and function of your current facility. Approach new markets and customers. Modernize the systems that help your small business run. Stock up on products or raw materials, so you don’t worry about running out. At National Funding, we know running a small business requires intelligence, dedication and problem-solving skills. Our organization has exclusively focused on small and growing companies since we started lending in 1999, which means we have a strong understanding of what businesses just like yours need to grow. We’re ready to work with your Las Vegas-based small business to craft an effective loan that takes your needs and operational reality into account. Our application and lending processes were developed with small businesses in mind, too, meaning a positive experience from start to finish. It’s hard to take time away from running your business to sort through pages of bank documents or dig up seldom-used data about your operations. That’s why our lending process is simple, fast and focused. We make applying easy so you can keep your focus on your business, not a long application. Just like our loans are flexible and offer options to provide a great fit for small businesses, our application process is similarly targeted to help business owners just like you. What does our practical process mean for your business? Simple and fast from start to finish: We ask for the information we need and nothing more. Lending standards that make sense for small businesses. Funds delivered the next day1, meaning the money quickly goes to work for your business. We make it easy for you to get started on a small business loan application. What should you have on hand to start the process? Minimal paperwork - just a one-page application. That’s all we need! Ready to learn more? What would you use a small business loan for in Las Vegas? 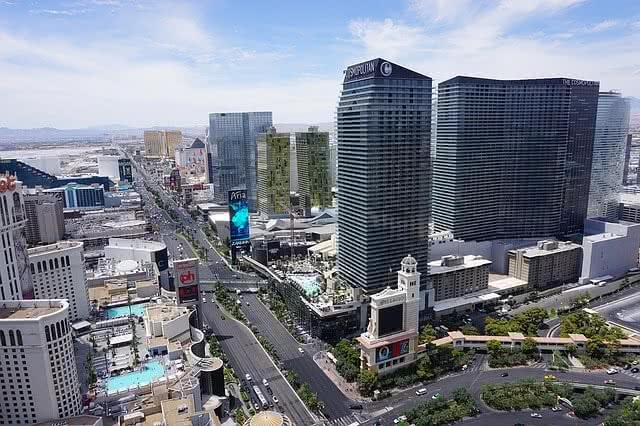 No matter you want to address an unforeseeable financial need or invest in the growth of your business - whether on or off the Strip - there are plenty of options. You could hire more staff to deal with especially busy times of the year, train staff at a new location, advertise to get the word out about your business and so much more. Our flexible loans can be used for nearly any business expense. We have a proven track record of helping small businesses in Las Vegas and across the country stabilize, diversify and find success. Our wealth of experience working with smaller companies means we’re an effective and dependable partner. National Funding is excited to work with your small business. Get started by completing our quick online application and work with a knowledgeable loan specialist today!